After migrating from Android to Apple, Dolphin has now launched its famous gesture controlled browser for iPads. Gestures like drawing a “” will take you forward. You can also create your own gestures and shortcuts to access your favourite websites or launch browser commands. 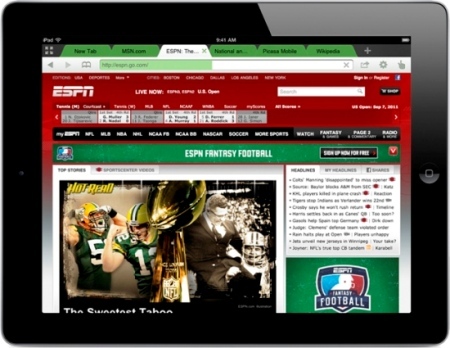 The Dolphin Browser HD takes advantage of the larger area available on the iPad’s display. The Speed Dial and Webzine functions are both present, and it supports tabbed browsing as well. You can also switch between desktop and mobile versions of websites depending on your needs. The browser is free of cost and you can download it from here for your iPad.